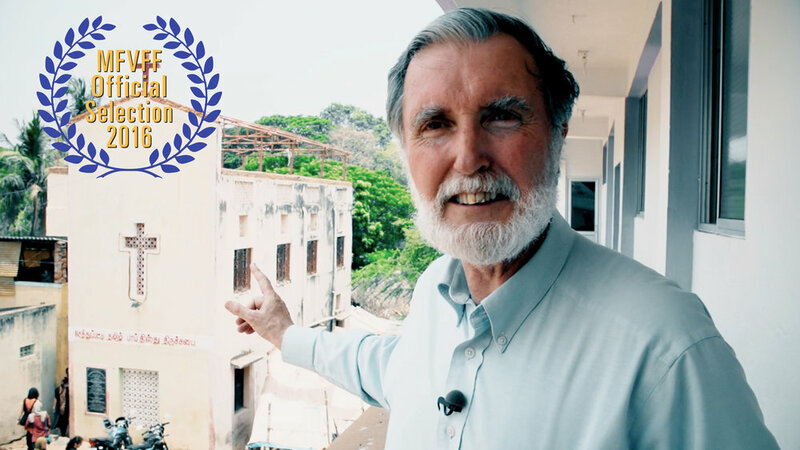 The slums of India: one of the most impoverished and heavily-populated pockets of the world - an unlikely place for Viv Grigg, a man from New Zealand, to choose to live, and an equally unlikely place to find myself directing my first documentary. Viv has made evangelizing to those in the world’s poorest places his life’s mission. In a quest to share that work with the people of North America, the vast majority of whom would never experience the harsh conditions in which over a billion people live, we were recruited to capture Viv’s story. Viv is a true creative: the author of multiple books, an experienced traveler and a gracious human being. From the project’s beginning, we were given creative license to film and explore. As a result, we were able to capture a sweeping, colourful, humanity-rich, cinematic feel, fitting the vastness of both the slums and the task Viv has devoted his life to. Capturing Viv’s story marked my third journey to India. It is a country I have grown to love. From the diversity of the landscapes, to the warmth of the people and the depth of the flavours and scents, India is always a happy assault to the senses. While I explored the physical space of the slums, I was also exploring the medium of the documentary. Through the slow layering of images and stories, my directorial style and filming aesthetic became more and more refined. I was finding my voice as both a documentary filmmaker. Once we had returned home with our footage, I immersed myself in the careful process of editing. It was during this period that I realized the project was bigger than myself. It could blossom and become more if I drew in the talents of other creatives. And so I was able to do what I love to do with DSM, collaborate to make something bigger and better than the sum of its parts. I shared the vision of the project with a team of talented individuals who happily jumped on board to contribute titles, graphics, music, sound mixing and more. Suddenly, The Poor Wise Man was a community project and a beautiful piece of cinematographic art. When the project was complete, DSM was on hand at the film launch in LA, where I personally shared my experience of making the The Poor Wise Man. The film was also accepted to a Vancouver film festival, and sold worldwide for the past two years. The film is now distributed free to anyone who wishes to experience it. I’ll be forever grateful that its message will live on. No Spam. All emails personally sent from David.